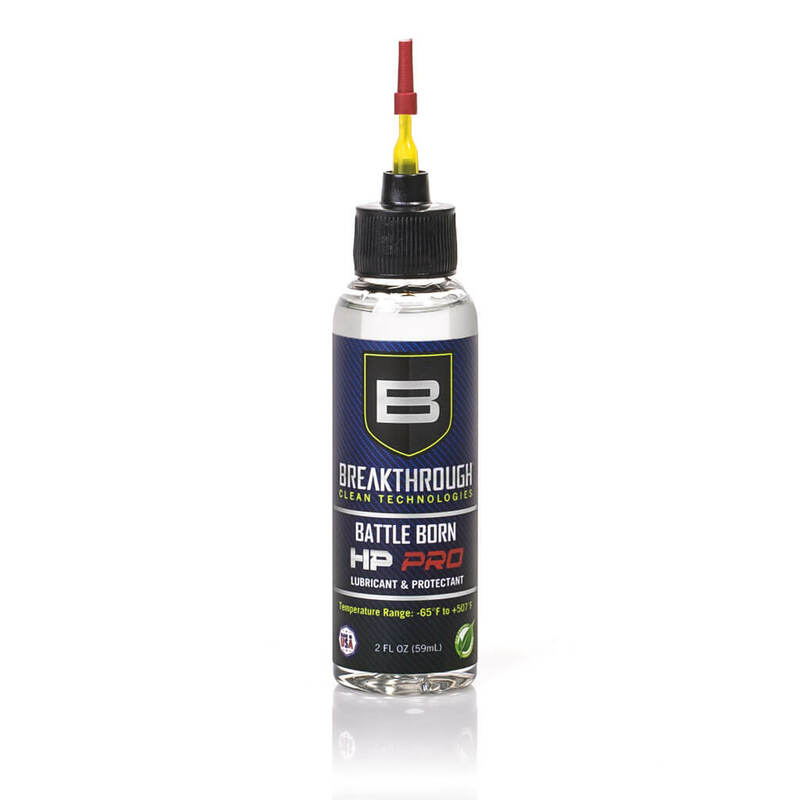 Battle Born HP Pro lubricant & protectant is a blend of the finest quality synthetic oils available and treated with the most effective extreme pressure, corrosion inhibitors, anti-oxidant, anti-foam and anti-wear additives. This unique combination provides maximum firearm lubrication and protection in extreme environmental conditions. Multi-service lubricant and protectant for extended service under high and low temperature conditions (from -65°F to +507°F). Safe to use on all metal, plastic and polymer parts. Wide temperature range · Rust and corrosion protection · Facilitates cleaning · Wont Gum Up · Water and steam resistant · Reduces friction and wear · Non-flammable · Non-toxic · Non-Hazardous · Odorless · Non-staining · 100% Synthetic.